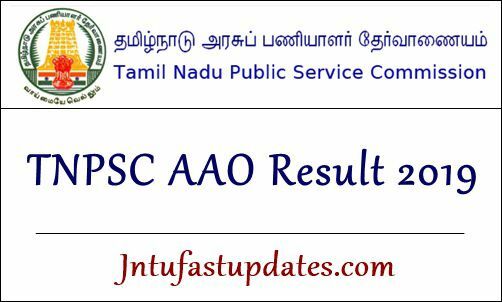 TNPSC AAO Result 2019: Tamil Nadu Public Service Commission (TNPSC) organized the Assistant Agriculture Officer (AAO) examination on 7th April in many examination centers across the state. Many of the applicants have appeared for the AAO written test as per the scheduled date and timings. Tamil Nadu PSC organized the written test with several measures. The organization also released the TNPSC AAO Answer sheet after conducting the examination. For competitors who have checked the answer sheets and waiting for the results, here is an important update! The organization is soon going to announce TNPSC AAO result date on its official website, tnpsc.gov.in. Along with the result, the AAO cutoff marks and merit list. Hence the competitors can wait for the TNPSC AAO result date and other updates. Tamil Nadu Public Service Commission is the state level organization that releases various recruitment notifications every year. TNPSC released the official notification for 580 Assistant Agriculture Officer Posts. The organization accepted applications from 27th December 2019 to 27th January 2019. A large number of aspirants have applied for TNPSC Assistant Agriculture Officer Posts this year. The securitizing of suitable aspirants will be done through the written test and interview rounds. Whoever qualifies these rounds with good merit will be considered to appoint in the announced posts. All the aspirants competed for the AAO prelims examination can expect the result in the month of May. TNPSC is expected to release the results within 3 to 4 weeks after the examination [tentatively]. Hence the competitors can keep checking the TNPSC portal to check the result date and other updates. TNPSC is going to announce the AAO cutoff marks along with the result. The cutoff marks/qualifying marks will be announced based on various facts such as the number of posts, level of competition, and other aspects. Candidates scoring the qualifying marks, cutoff marks in the examination will be listed in the merit list. Along with the TNPSC AAO result, the cutoff marks and merit list will be announced. On the homepage, search for Assistant Agriculture Officer Results 2019 link.